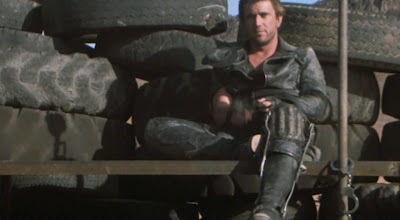 When I mention using car tyres and other by products of society for re use as construction materials, most people I talk to are shocked and their re-action is that the buildings made from such materials must be like something out of the Post apocalyptic wasteland. 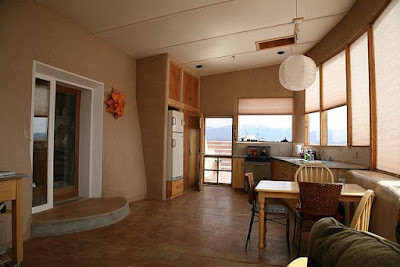 It is interesting to note that in a Global community seemingly oblivious to the limits of production of the finite resources of Planet Earth, aesthetics is the first consideration when it comes to alternative housing options. Just the mental image of 700 plus used car tyres forming the spine of a building, throw in a couple of thousand bottles, cans and half a tonne of cardboard and it is enough to put the average "Consumer" off having anything to do with such a radical way of building. Fortunately the reality of the finished building is nothing like the mental picture formed from the description of the materials used. 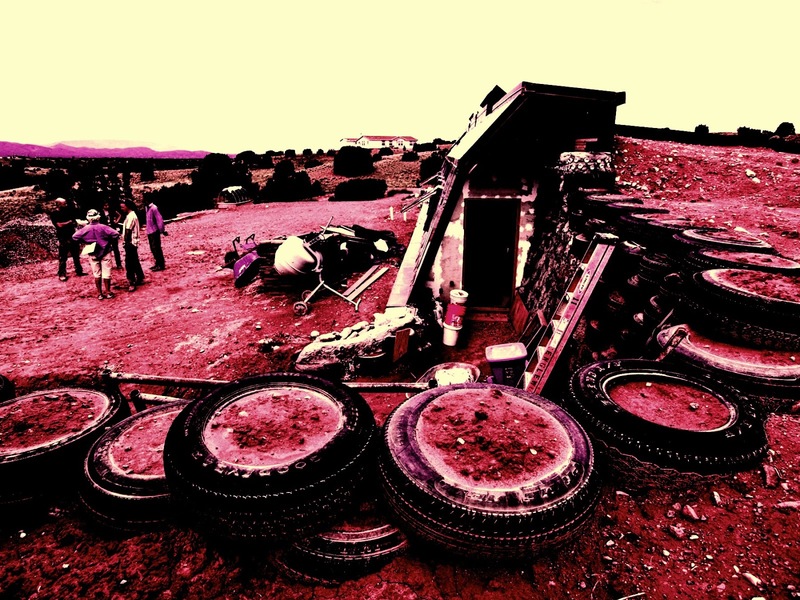 Apart from being super strong, these homes can be very beautiful and as can be seen from the above picture, no tyres or other rubbish is in sight, but all the discarded by products are there locked into the thermal mass which is the walls. 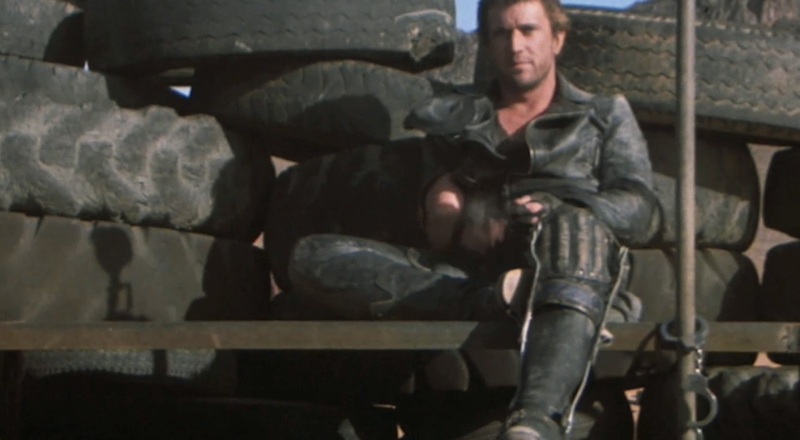 So in the post apocalyptic wasteland the only materials left to build with would invariably be the ones like tyres, cans, bottles etc, this doesn't mean the houses of today need to look like they were built out of desperation. 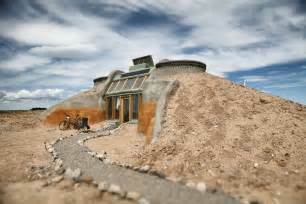 Choosing this way of building now could mean a future with no wasteland!